The weather has been so dreary – I miss the sun! I think we have had rain 5 or 6 days straight. I had intended to do some chicken kabobs but since the weather wasn’t cooperating, I had to come up with another plan. I looked in my refrigerator and had a pack of Hillshire Farms Ham and Sargento Swiss Cheese that we’d been eating for lunch throughout the week. I decided to pair the sandwich fixings with my chicken and whip up some Chicken Cordon Bleu Roll Ups. My guys all love this recipe and while it may have the appearance of being difficult, it is actually very simple to put together. You flatten chicken, top with ham and cheese then roll it up. A dunk into an egg wash and then a few breadcrumbs and you have dinner after a few minutes of baking in the oven. My boys like their chicken without any sauce but my husband and I like the addition of the honey dijon cream sauce. The sauce adds another dimension of flavor and really kicks this up a bit. This would be a great recipe for a Tuesday night with the kids or as option when you have dinner guests. The presentation is fun and the taste is great. 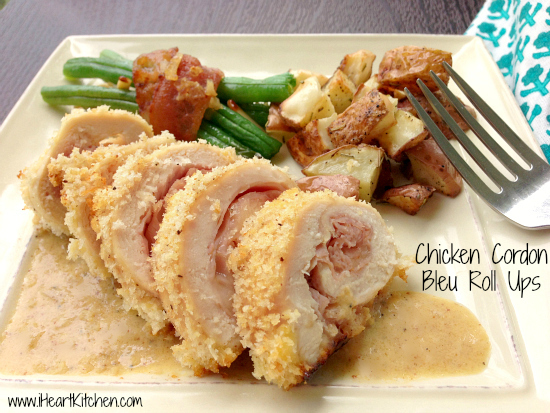 Give these Chicken Cordon Bleu Roll Ups a try and let me know what you think. Place a slice of ham and 1 ounce of cheese on each chicken breast. 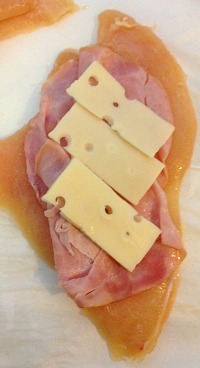 Starting at short end, roll each chicken breast tightly tucking the ends to seal in ham and cheese. Mix egg, 2 tablespoons of mustard and milk in a shallow bowl. In another shallow bowl or plate, combine breadcrumbs, salt, pepper and garlic powder. 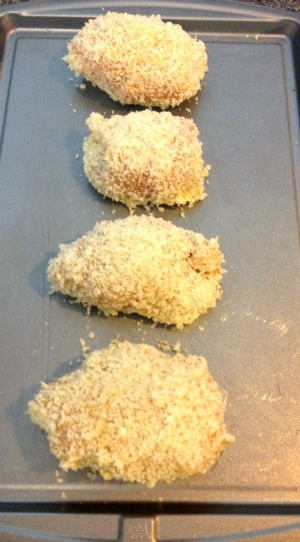 Dip rolled chicken in egg wash then roll into breadcrumb mixture, packing the crumbs onto the chicken. Place each rolled breast on a lightly greased baking sheet. Spray the top of each roll lightly with cooking spray. Bake for approximately 30 minutes or until chicken is golden brown and cooked through. Melt 1 teaspoon of butter in a small saucepan, add shallots and cook until translucent. Add chicken broth and cream (or half & half). Stir in 1 tablespoon honey dijon mustard. 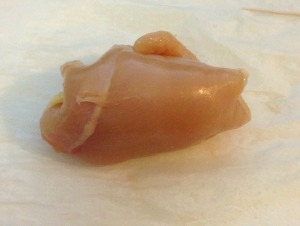 Serve sauce with cooked chicken. 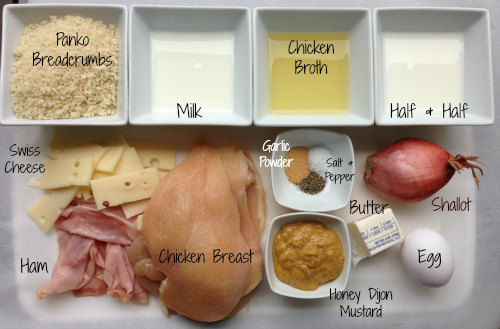 Wow I love love your mis en place look-very nice looking for the blog! Can you post the recipe for the bacon wrapped green beans? I am sorry if you did and I did not see it! I have not yet but I will do that soon…they are delicious!! I made this tonight, absolutely phenominal! So easy, husband is still talking about it. Definitely a staple recipe now!!!!!! 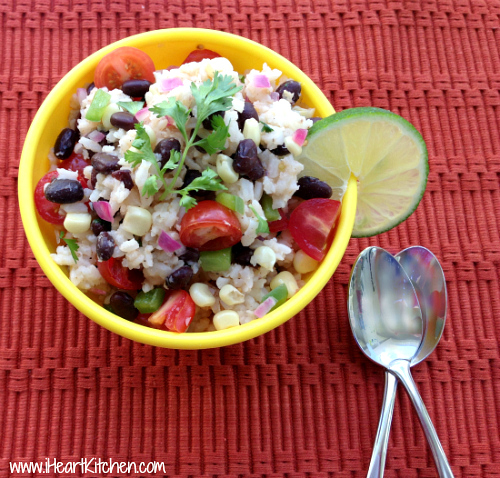 Made this last night for dinner – it was great and easy to do. Next time I may try the sauce as well.